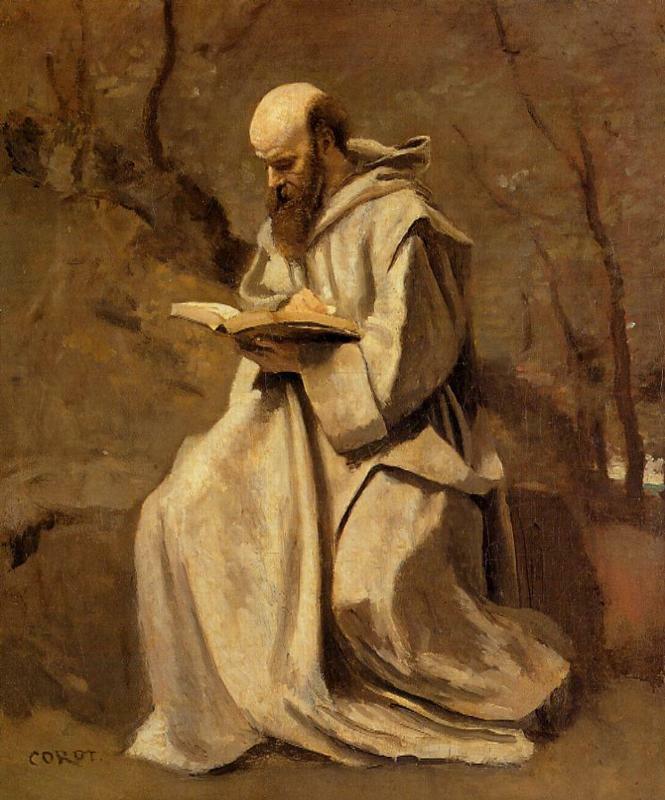 The meditation of Lectio Scientia, or “Scientific Reading,” is a secular version of the monastic form of meditation Lectio Divina, the “Divine Reading” of the Order of Saint Benedict. 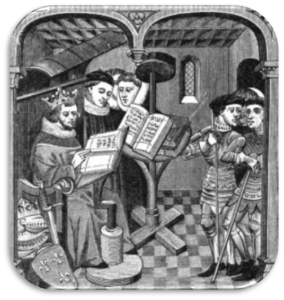 Lectio meditation is divided into four stages: reading, meditation, willful focus (prayer) and contemplation. Lectio Divina is traditionally a private prayer done between the offices and Lectio Scientia proper is also practiced as such. All Order of Science meditations involving reading is called Eating From the Tree of Life, wherein the literature is symbolized by leaves, and the form of meditation on the content of the reading is life-affirming. The space used is referred to as the Temple Laboratory. Furniture may include a cushion or chair on which to sit as the Holy Throne; any objects suitable for an Ancestral Shrine, such as a candle, incense, and reminders of predecessors; a Ceremonial Bell; and literature on which to meditate. Any space may be used and no furniture or paraphernalia is necessary, so if you do not have a candle or a bell, you can improvise or just sit in one place and recite the liturgy. All that is required is the meditation. As with the Daily Offices, the practice incorporates the first six steps of meditation: a proper physical environment; meditation posture; relaxation; the Return to Tranquility Exercise and Deep Healing; concentration; and breathing. Visualization begins with the Mind Palace. After one has entered the state of calm one reads passages from the Office of Readings. Contemplation entails visualization and thinking about the passages and asking oneself questions about their content. One then engages the will to establish in the mind the focus of one’s actions in life. The meditation concludes with a period of stillness and silent mindfulness. The science monastic may begin the exercise by lighting a single flame or flames in the four directions. Standing at the Ancestral Shrine within the Temple Laboratory the meditator sounds the bell twice and ascends the Holy Throne. The monastic first raises awareness from the bottom of the spine to the crown of the head, then focuses the concentration in the “Third Eye” between and just above the eyes, visualizing himself (or herself) as the High One, the Immortal Emperor (or Empress) upon the Holy Throne. The High One sits on the Holy Throne in the East of a circular temple surrounded by the four elements and the eight cardinal points of the compass rose, on a fertile mountain island in the center of the universe. There are seven seals upon the spine of the immortal monarch and the twelve spirits of life on their thrones surround the throne of eternity. All of the Immortal Illuminati surround the High One. The life of the monastic, all of human history and the history of Earth, amount to but a speck among the dust of galaxies below the High One. 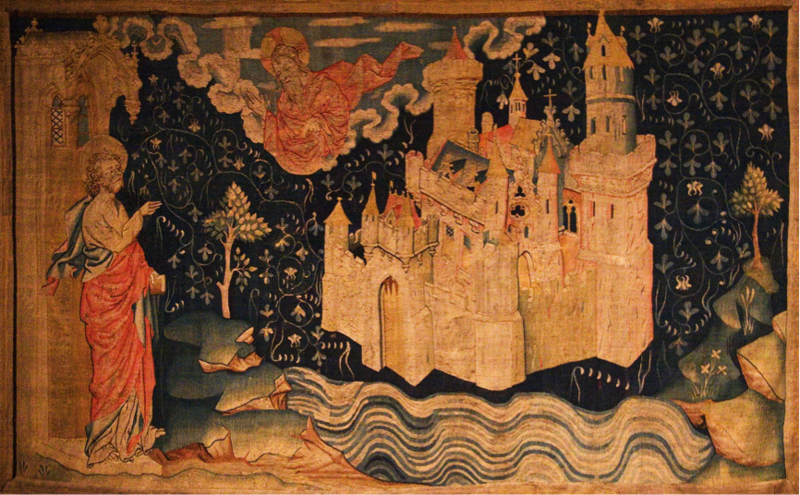 Visualization of the ideal laboratory, the Holy Palace or heavenly city, is unique to each individual. For some, a sea surrounds a four-cornered castle, revolving, with music, wine and feasting within, where there is no disease or old age. The Mind Palace may be a palace, monastery or temple growing out of a forest or snowy mountain peak. The structure could even be a hermitage or single cell. The Holy Palace is the architecture of holistic symbolism. The palace is surrounded by a moat that symbolizes the physical body. The outer walls are the senses, emotions and thoughts. The gates are purification, the inner guide, humility, awareness and observation. A river is the essence of life; health, love and communication. The highway following the river to the castle is the Way of Life; sacred honour. The tree in the garden is truth and enlightenment. The temple or castle within is tranquility and peace. The furniture within the palace may be used as a mnemonic device if the monastic has material that needs to be memorized. The Mind Palace may be used to memorize material by visualizing the material interacting with locations and furniture within the palace as the meditator imagines walking through the palace. The Daily Offices may be memorized in this way. Otherwise, the Mind Palace meditation is simply the culmination of the first six steps of meditation mentioned above: a proper physical environment; meditation posture; relaxation; the Return to Tranquility Exercise and Deep Healing; concentration; and breathing. This is the proper preparation for Lectio Scientia and the Daily Offices. As the text is read concentrate on its meaning and think about the who, what, where, when, why and how. Visualize what is being read and explore the emotions it evokes. Cultivate calm. Then, direct your intention or willpower, and your attention, toward void. This is mindfulness meditation that leads to insight into the nature of reality. In this stillness and silence one communes with the One. Sitting in stillness and silence in mindfulness meditation leads to what science monastics call enlightenment. Contemplation in this context refers to this enlightened state, being at peace in mystical communion. The meditation concludes with the extinguishing of flames and sounding of the Ceremonial Bell.